Hello! As one of the new members of the Craftwell Design Team I was asked to share where inspiration comes from for me. The answer is very simple, it comes from everywhere. Creativity can come and go, however with design team commitments, this can be costly. Here are some ways I keep my mojo going and keep the creative inspiration fresh and on point. My creative journey is often inspired by products. I am giddy about new product releases and collections from my favorite brands. As soon as I have new goodies in hand, I find myself on a beautiful creative journey. New products are so great for refreshing my creative juices. The web is also a great venue for finding a consistent stream of inspiration. Pinterest alone is the perfect playground to discover an array of resources that stimulate creativity. So many color combinations, patterns and designs that inspire the creative mind. Lurking on the web can lead to a surge of inspiration. Creativity also comes from others. Many times seeing something from another designer becomes an inspiration item for me. I often can reimagine the item for my own creations. I strive to add my own spin on each design being careful not to copy the original design. I am constantly seeking innovative styles and techniques to try out while crafting. Seeing ideas from others often stimulates my creative juices. 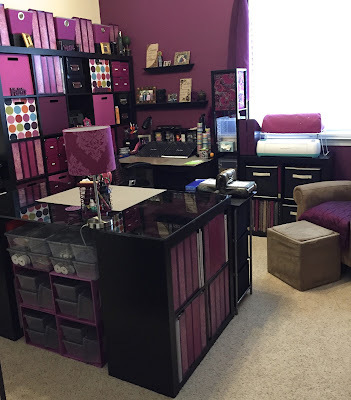 My craft room is a wonderful place of inspiration for me. Vibrant and bright colors bring me so much happiness. It is my own space that I use to create, experiment and tinker with products. 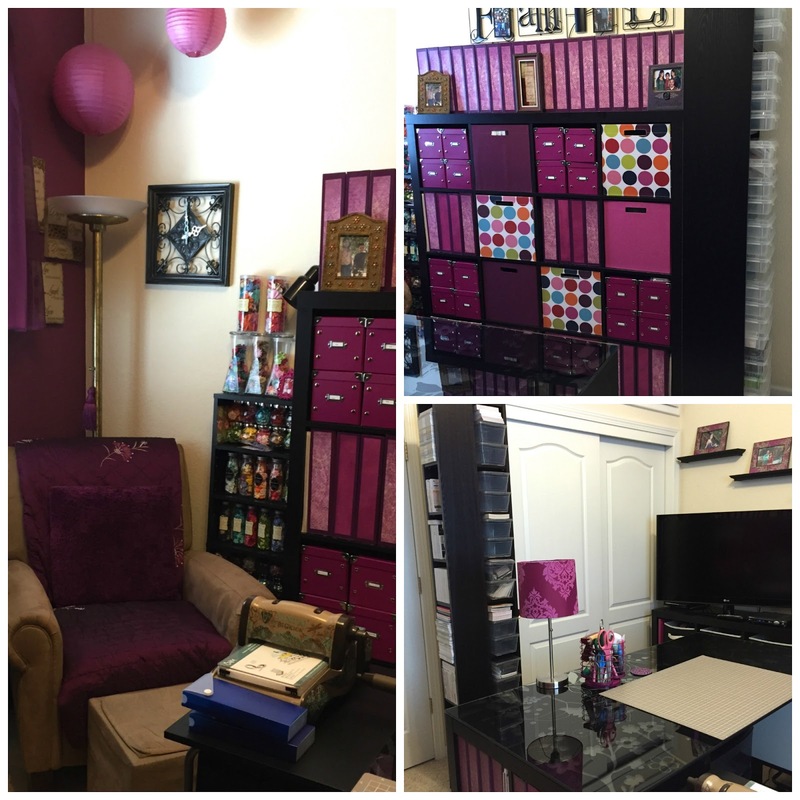 It's a dedicated space that is well stocked with paper, my die cutting machines and loads of embellishments. Here's a peek at where all of the crafty magic takes place. My "thinking" chair allows me to easily step away from a project. It's perfect to sit, relax and blog. I often return to a project with a fresh perspective and sometimes with new ideas. By the way, my craft space is never this clean, these pictures were take immediately after I redesigned my craft room. Finally, I keep an open mind for creative opportunities. I find inspiration from working on projects that I'm really excited about. For me, the best way to get excited is to find design teams that challenge my creativity and products that I'm passionate about. These creative opportunities are so inspiring and fulling for me. Thanks so much for following this lengthy post on getting creatively inspired. Thanks so much for stopping by! Have a wonderfully creative day!